Identify the characteristics of resiliency in building design, and the role that design professionals and building technology can play in improving resilience. Investigate the design issues related to creating buildings that can bounce back from extreme environmental conditions. Assess design strategies related to common severe weather events, such as high winds, heavy rain, flooding, intense sun, earthquake, and fire. Recognize the role that building information modeling can play in achieving building designs that are more resilient and sustainable. All buildings, regardless of location, are subjected to the conditions and forces imposed upon them from the natural environment. These forces can come from common weather conditions, such as sun exposure, wind, rain, snow, hail, and the like. They can also come from other more significant phenomena, such as earthquakes, flooding, wildfires, hurricanes, tornadoes, or drought. Design professionals and building codes can readily address the typical or common concerns of most of these occurrences at least to a basic extent. However, it has become clear in recent years that buildings and entire communities are experiencing situations that aren’t all that typical. Climate changes and unusual weather patterns have created storm events that are more intense or more frequent than usual. Increased population density has meant that more people are impacted when an event does occur. Older buildings and infrastructure are not always able to deal with these increased conditions and forces. And social, economic, and political conditions in many places around the world are exacerbating the problem through disproportionate impacts on those least equipped to deal with them. Recognizing the importance of addressing these situations, organizations, government bodies, and individuals are rallying around an emerging planning and design principle—increasing the resilience of buildings and communities for all of their inhabitants. Image courtesy of McGregor Coxall and Vectorworks, Inc. The intersection of the natural environment with the built environment can be investigated and designed for resiliency and sustainability using tools such as building information modeling (BIM). Resilient design goes beyond the realm of building architecture and engineering. It is necessary to involve the larger community in all of its aspects. Some of the natural local conditions that likely contributed to the creation of a community in the first place, such as climate, topography, water resources, or vegetation, can also be some of the causes for natural disasters. The political makeup of a community and the effectiveness of the elected leaders to orchestrate actions that work for the benefit of all people certainly makes a difference in terms of the smooth operation of a community, but it is also critically important in times of crises or natural disasters. The socioeconomic condition of the community plays a significant role not only in the ability of a community to withstand severe weather events, but also to recover from them. Architects are among many professionals who have recognized the multifaceted and truly interdisciplinary nature of communities in both good times and during times of need. Some have taken it upon themselves to devote a portion, if not all, of their practice to the concept of purpose-driven design, which is focused on responding to extraordinary needs of a community. These needs could include social issues, such as poverty, overcrowding, and migration, with innovative, affordable designs for shelter and housing. Some address the scarcity of resources in a region, such as water or energy shortages, with creative ways to extract, conserve, or distribute those resources. Others have focused on helping a community recover following a natural disaster with damage assessment, master planning, and improved building designs to withstand any repeat occurrences. Regardless of the issue or focus, the design services rendered are offered for the purpose of serving the greater good of the community, whether at the level of a region, neighborhood, or building. This purpose-driven design approach has been undertaken by many American and international firms as part of the firm philosophy and culture. In some cases, the work is provided pro bono, while in other cases, some level of fees are paid depending on the circumstances of engagement. In all cases, it influences design decisions from the broadest to the most specific levels. Beyond individual firms, there are a number of organizations that have been champions for this concept of purpose-driven design. One of the more celebrated organizations is the former Architecture for Humanity founded by Cameron Sinclair. While it conducted significant humanitarian-based design and building projects around the world, its founder left to pursue other things, and the organization closed down several years later. Nonetheless, it brought worldwide attention to the role that architects and other design professionals can play in addressing community issues. Similarly, in Tokyo Japan, the 2014 Pritzker Prize winner, Shigeru Ban, Hon. FAIA, has used his notoriety and his firm to establish an organization known as the Voluntary Architects Network (VAN). 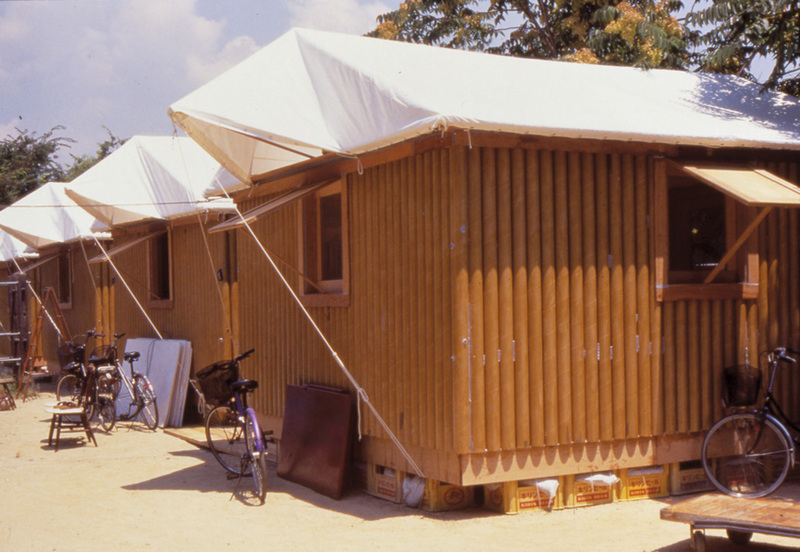 Shigeru Ban Architects began disaster relief work in 1994 in response to 2 million refugees in Rwanda being misplaced from their homes as a result of that country’s civil war. Ban made a proposal to the United Nations (UN) to use “paper-tube shelters”—a medium that he has famously used as a trademark for innovation and affordability. The UN liked the proposal enough that he became a consultant, and his Voluntary Architects Network has worked ever since in multiple countries helping thousands of people recover from natural disasters. Specific projects have included the Paper Shelter in Haiti, the Hualin Temporary Elementary School in China, and Paper Log Houses in India. Architects like Pritzker Prize winner Shigeru Ban have included purpose-driven design, like this “paper house,” as a significant part of their practice using alternative materials and local resources to provide housing following a natural disaster. Closer to home, the American Institute of Architects (AIA) has a long and continuing history of addressing purpose-driven design for communities. As early as 1972, the AIA formally recognized the role of architects in community issues, such as emergency response efforts. In 2004, the AIA Center for Communities by Design brought together programs not only in disaster assistance but also community planning, including the popular Regional/Urban Design Assistance Team (R/UDAT) and the Sustainable Design Assessment Team (SDAT) programs. These programs have worked across the United States and in places around the world using volunteer teams led by AIA members and staff to address planning and rebuilding efforts in a variety of communities. Some locations served include Louisiana and Alabama following hurricane Katrina, Haiti following a severe earthquake, and places in Asia that suffered tsunami damage. The national effort has led to the creation of a Disaster Assistance Program with members located in AIA chapters across the United States. This has spawned significant planning and response efforts in places like the state of Oregon to address seismic concerns and the New York City area following superstorm Sandy. Note that disaster assistance with the AIA is not about being a first responder to help individuals. Rather, it is about architects lending their expertise in assessing damage, arranging temporary relief in the short term and, more significantly, in offering design expertise to help rebuild and reshape communities. Particular emphasis is placed on design to withstand future disasters—that is designing for resilience. 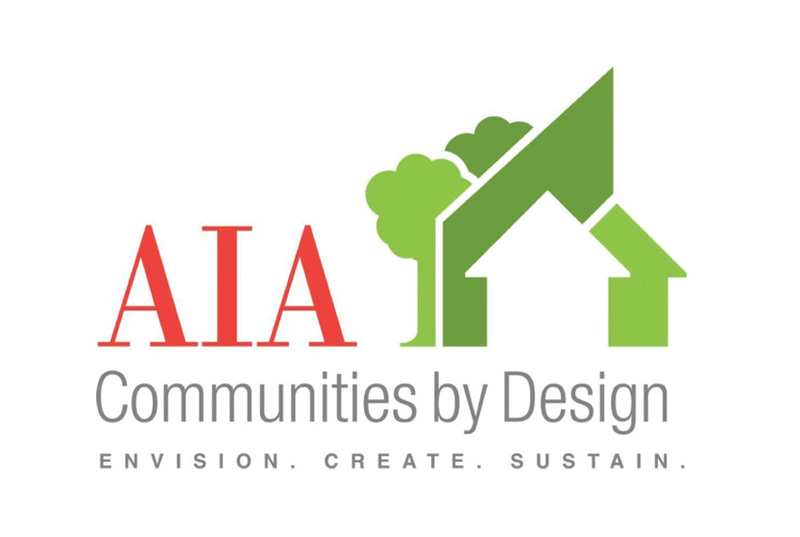 The American Institute of Architects (AIA) maintains the Center for Communities by Design that provides a means for architects and other professionals to assist communities in improving their design for overall livability, disaster responsiveness, and sustainability.